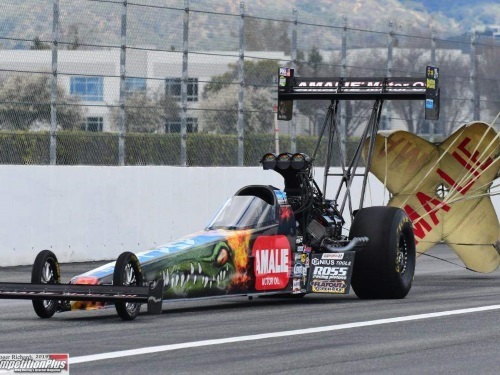 POMONA, Calif. (February 12, 2019) – Terry McMillen drove his AMALIEⓇ Motor Oil XTERMIGATORⓇ Top Fuel Dragster to a semi-final appearance in the season opening NHRA race, but that didn’t excite the Elkhart, Indiana driver and team owner. He made six final round appearances in 2018 and won the prestigious U.S. Nationals. Even that may only provide passing excitement compared to the anticipation for what the 2019 season has in store for McMillen. McMillen leaves Pomona third in points, his best start after the first of 24 races and that’s still not what excites McMillen. McMillen reset his career best elapsed time and mile per hour in the opening round match-up against Richie Crampton with a 3.710 at 329.10mph. He then reset it again in round two against Leah Pritchett when he posted a 3.696 at 329.91mph. 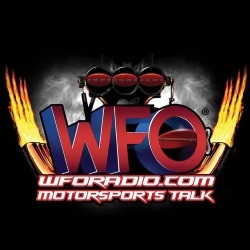 He made another impressive run in the hole shot loss to Doug Kalitta, posting a 3.706 to Doug’s 3.708. Kalitta’s margin of victory was just 0.0113 seconds. “When is Phoenix?” McMillen asked with a grin. Race two of the season is the NHRA Arizona Nationals, February 22-24.